Now that you have read the previous chapters regarding light, background, and depth of field, now lets explore further into photographing the details. We will need all of those knowledge here. 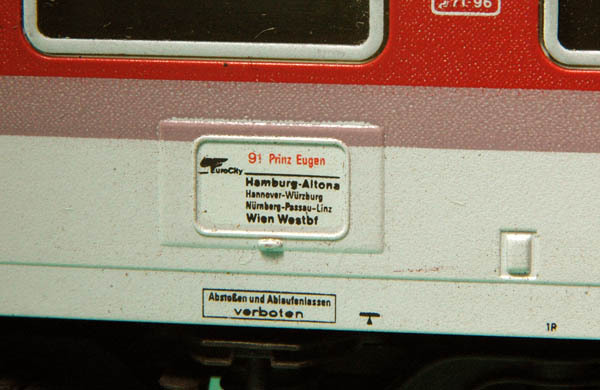 Why do we need to show the details of a miniature-models? 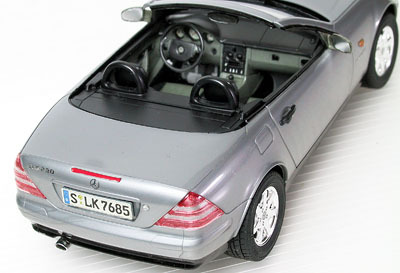 The intricate details of a miniature-model is a testimony of the effort done by its builder. 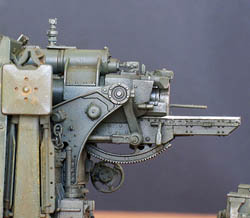 In an overview photograph, which shows the whole body of the miniature, even a poorly built model will still be able to look good and nice, however, close up pictures showing its detail will reveal the truth. looks nice and beautifully built. 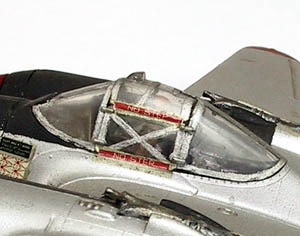 The cockpit framework is shoddy, painted using brush without masking, and seems as the brush-tip was not fine enough. 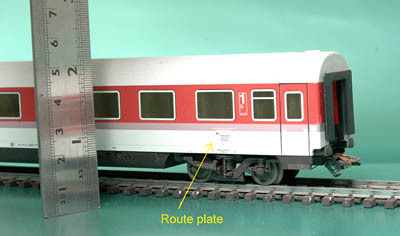 The modeller ignored the fact that silver color is very sensitive to brush mark. The gun bay is not well built. Look at the painting of what supposed to be the amunition; yellow painted without any effort to create impression that it is portraying a belt-fed amunition. 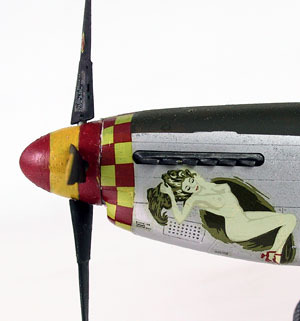 Definitely it is not a kind of paintwork which deserve praise. 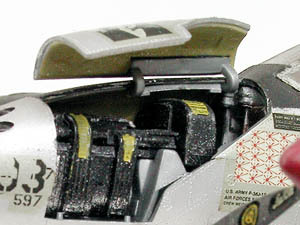 From this detailed photo, we can see that the modeller did not make any effort to sand off the moulding line on the rocket rack, even the wing still exhibit the joining line at its leading edge. 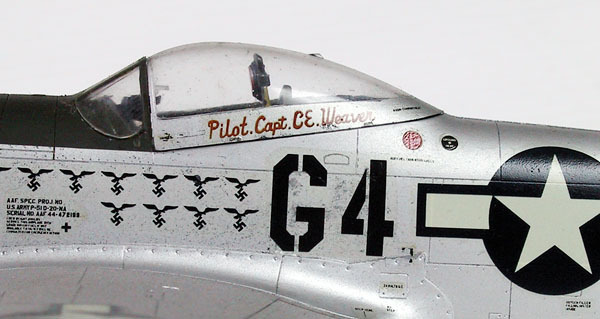 a P-51D Mustang, also in 1/48 scale, and silver-colored. 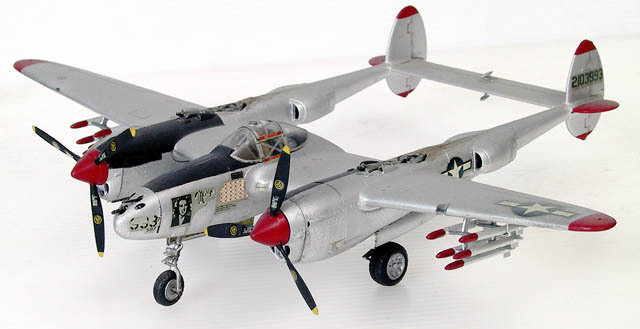 By looking at the detailed pictures below, one will agree that this miniature-model was built with higher workmanship quality than the P-38 above. 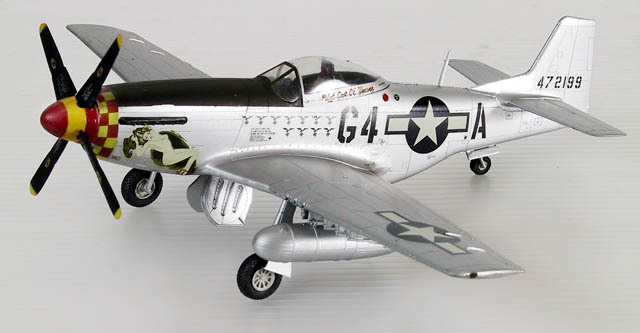 Although this model looks like a brand new aircraft rolling out from the factory, lack of weathering, but unarguably the modeller had put an effort to get a fine finishing touch. The close-up photographs tell about it. What kind of details do we need to show? 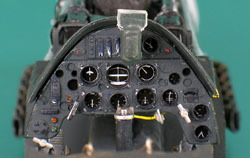 Well built models, especially the one using today's sophisticated technologies, will contain a lot of details; cockpit interior in an aeroplane model, mechanism of an artillery gun, dashboard of a car, even an expression of a figure's face. 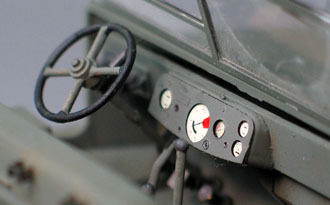 Therefore photographs of those details will talk a lot. 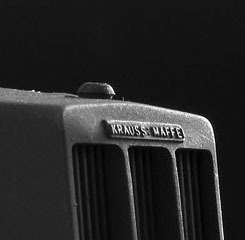 Tiny details which can be very hard to see by naked eyes, can be showed up in a macro photograph. How to photograph the details? Those details are usually very small in size, thus a macro lens is mandatory (if you are using a compact digital camera, make sure that it has a macro-capable lens). 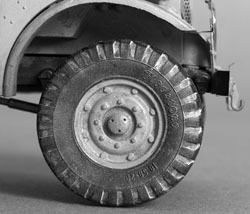 Before taking a picture of certain details in the miniature-model, try to imagine the shadow if the light is coming from left, right, top, or bottom. Try to find out which lighting direction will likely the best to reveal the detail. Place the light on the direction which you think will be the best. This light must be "soft" (please see chapter 2. Lights), and bright enough to allow photo taking at high f-number. Yes, you have to use the highest possible f-number. 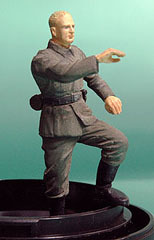 On the opposite location of the light source, put a reflector (a white paper will do) as close as possible to the miniature-model (but still outside the camera's view). Don't forget to put the camera on a tripod. This kind of photography will deal with very thin depth of field (see chapter 5. Depth of Field), a slight movement of the camera during exposure means the photo will not come out sharply. 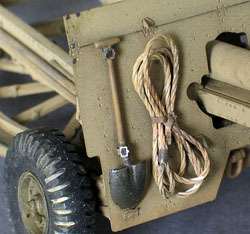 This photo shows a very realistic track links of a 1/35 scale model of Sd.Kfz.9 halftrack produced by Tamiya. 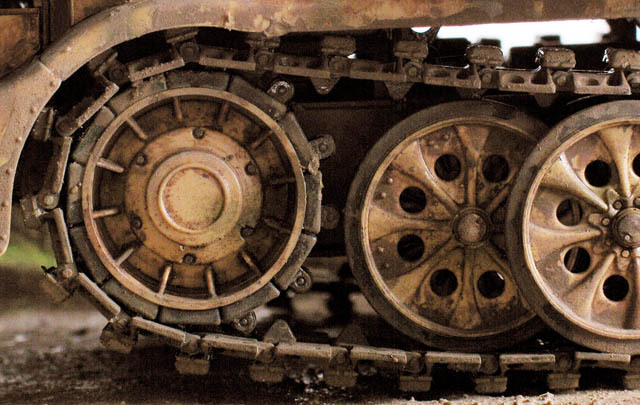 See the linkage bolt on each track-link, and the roller's bolt on the traction wheel. Those details will be easily unnoticed, until you take a macro-photograph of them. 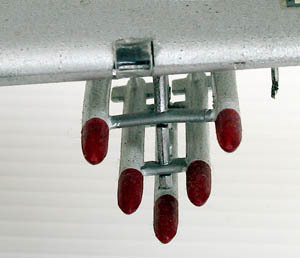 So next time before you judge the workmanship quality of a miniature model, take the detail photographs first.